Could eating processed foods increase risk of death? 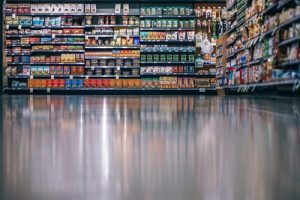 If you read just about any healthy eating plan, you may see the phrase “eat less processed foods.” This can seem like a difficult task since many foods in the grocery store aisles seem to contain long lists of ingredients. Therefore, it can be hard to figure out what to eat for optimal health while still staying within your food budget. However, recent research shows that eating too many ultraprocessed foods can increase risk of death. Let’s learn a bit about these foods and how you can clean up your diet. What are ultra processed foods? These foods are different from other processed food products like canned vegetables and preserved meat products that only contain added salt. This salt merely helps to preserve the food product. Other foods in this group include cheeses and freshly made un-packaged breads. On the other hand, minimally processed to unprocessed foods include fresh, dried, ground, chilled, frozen, pasteurized, or fermented staple foods. Such foods may include packaged fresh fruits, vegetables, rice, pasta, eggs, meat, fish, or milk products such as milk or yogurt. Research is showing a lot of health risks from consuming too many ultra processed foods (UPF). One study shows that those who consumed more UPF had higher body mass index (BMI) and waist cicrcumference than those who didn’t eat such foods. Another study shows that those who consumed more UPF had overall poor diet quality compared to those who ate less of these foods. A recent study also found that increased intake of UPF increased a person’s risk of death. This was a seven-year long study that looked at food intake data from over 40000 people. Study results show that intake of UPF was linked with a mean age of 45 to 64 years old, living alone, lower physical activity level, and higher body mass index, among other demographics. Therefore, researchers will need to conduct more studies to figure out the mechanisms which these UPF directly affect health. It can be hard to eat less ultra processed foods and stay healthy. Or so you may think. Here are some tips on how to eat a healthier diet while not breaking the bank. Buy in bulk. Although it may just be you or a few of you in your home, buying in bulk can save money. Choose family packs of meats to save money on these protein-rich food products. Separate the bulk pack into smaller servings in freezer bags and put in the freezer for later use. This way you can have a few meals from one bulk pack. Buy manager’s special or discontinued items. Find out what day your grocery store puts out manager’s special items. This items in the meat, produce, and dairy sections will likely have brightly colored stickers on them with reduced prices to help sell items that may be a week away from being past their sell-by date. These foods are perfectly safe food items. However, you will just need to use them in your meals and snacks soon after purchasing. Stock up on frozen vegetables. Frozen vegetables without added sauces, batters, or butter can be healthy and cheap ways to eat your veggies. Buy in bulk to save even more money. These vegetables are typically flash frozen, so they retain many nutrients from their fresh form and will produce less waste since they are good in the freezer for eight to ten months. Do a little prep work. Some low-cost healthy food items like fresh carrots, potatoes, celery, and salad greens may require some prep work. Rinsing, drying, and chopping such produce may be necessary to make them ready to eat. However, they are much cheaper than already washed and chopped veggies. Eat out less. Eating out and ordering takeout may be convenient, but the cost can add up fast. Not to mention that such foods are high in sodium, unhealthy fats, and preservatives. Therefore, try to limit eating out to a treat once a week to help improve your health and save money. Take a multivitamin to fill in the gaps. If you feel like your current diet is not meeting your nutrition needs, then a multivitamin may be in order. Although it’s best to consume your nutrients from food, a supplement can help if your healthy diet still has a few gaps. The multivitamin Zestia from Vita Sciences fills your nutrient gaps and then some. Zestia contains a comprehensive vitamin and mineral profile as well as a superfood complex and probiotics to enhance gut health. Fiolet, T., et al. (2018). “Consumption of ultra-processed foods and cancer risk: results from NutriNet-Santé prospective cohort.” BMJ (Clinical research ed. ), 360, k322. Schnabel L, Kesse-Guyot E, Allès B, et al. (2019) “Association Between Ultraprocessed Food Consumption and Risk of Mortality Among Middle-aged Adults in France. “JAMA Intern Med. Published online February 11, 2019. Silva, F.M., et al. “Consumption of ultra-processed food and obesity: cross sectional results from the Brazilian Longitudinal Study of Adult Health (ELSA-Brasil) cohort (2008-2010).” Public Health Nutrition, 21(12): 2271-2279. Vandevijvere, S., De Ridder, K., Fiolet, T., Bel. S., and Tafforeau, J. (December 2018) “Consumption of ultra-processed food products and diet quality among children, adolescents and adults in Belgium.” European Journal of Nutrition, doi: 10.1007/s00394-018-1870-3.